Big Time Changes For College Freshman ! Let's run down the list of changes a typical collegiate freshman Cross-Country runner has to endure in the first two weeks of the season. They just moved out of their house for the first time in their life. They have a strange roomate living with them. They are no longer eating mom's cooking. They have very little boundaries. They went from a small high school to a city of young adults. They even race longer ! 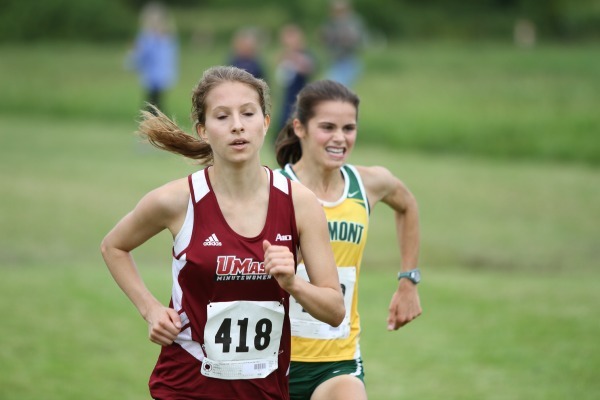 ​On top of all the changes in the first two weeks in September, we can add their first collegiate Cross-Country race. Milesplitmass took the show on the road to Western, Massachusetts to cover the Umass Cross Country Invitational. Although we cover a few collegiate Invitationals now and then, our purpose of this trip was to check in on some of our collegiate freshman harriers and to see how they handled their first big test. Mike O'Donnell has already stated his case that he is a the real deal for UConn. He finished second place overall and he will certainly improve as the season progresses. Umass has a pair of former Westfield High School standouts in Blake Croteau and Tim Dotsie. Croteau was 7th place and Dotsie is sidlined with an injury. 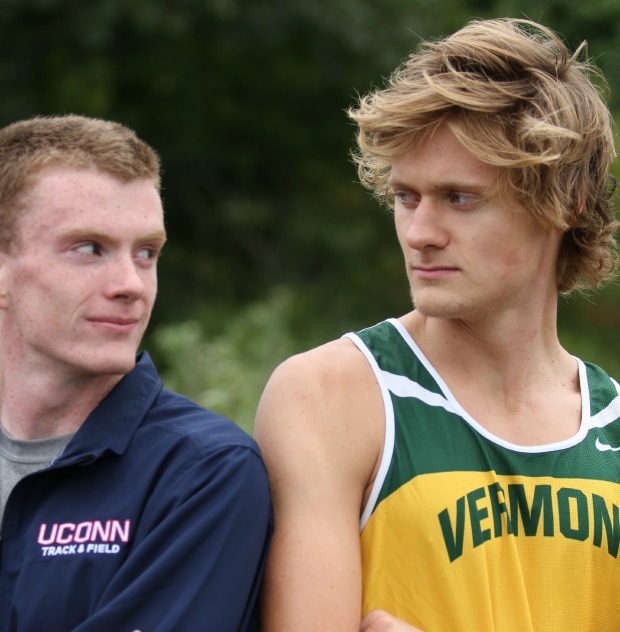 Former Lowell State Champion Patrick Coppinger also had an impressive first meet as he is competing for the University of Vermont. The girls race has a freshman 2-3-4 punch in Natalie Mako (Frontier), Christine Davis (Acton Boxboro), and Heather Maclean (Peabody) as they all cracked the top 25. Tina Kernan, formerly of Ipswich, ran in 34th place for Vermont.